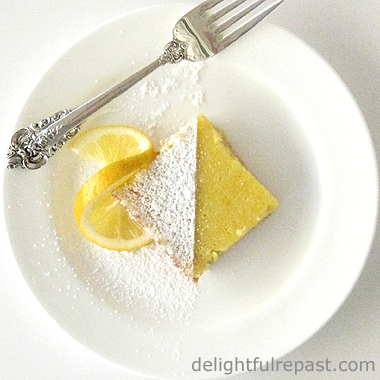 This is a grown-up version of a dessert some of you may remember from childhood. Back then it was made in a 13x9x2-inch pan using instant pudding, frozen whipped topping and excessive amounts of sugar. I make it in a 9-inch pie plate using all organic ingredients. Whipping up some fresh cream takes just a few minutes more than opening a container of thawed frozen whipped topping. And a simple homemade pudding takes just a few more minutes to make than instant. The addition of a little strong coffee (organic, of course) enhances the flavor without actually changing it. I don't even remember what it was called, but we have always called my version Creamy Dreamy. The other might taste just wonderful, but it contains all sorts of strange unpronounceable chemicals I don't care to consume. This is all-natural, organic Creamy Dreamy! Another great thing about this pie is you can freeze it! This time I just froze one slice to enjoy later, but I've frozen the whole pie before. Don't you love things that can be made ahead?! 1 In heavy 1.5-quart saucepan, whisk together sugar, cocoa, cornstarch and salt. Gradually whisk in the coffee until smooth. Whisk in the milk. Stirring constantly, cook over medium heat until mixture begins to thicken, about five minutes. Reduce heat to low and simmer, stirring constantly, for another five minutes until pudding is completely thickened. Remove from heat, then stir in butter and vanilla. Place pan in a larger pan filled with ice and water to cool the pudding quickly. Place a circle of parchment paper directly on surface of pudding. Refrigerate at least 2 hours or up to 2 days. 2 Preheat oven to 350 degrees. In small bowl combine 1 cup walnuts, flour, melted butter and salt until mixture is evenly moistened. With wooden spoon and flat-bottomed metal measuring cup, press dough into bottom and sides of a greased 9-inch pie plate. Bake at 350 degrees for 25 minutes; let cool. 3 Beat whipping cream to stiff peaks; set aside. In separate bowl, but using the same beaters, beat softened cream cheese with powdered sugar and vanilla until fluffy. Add the whipped cream to the cream cheese mixture; beat just until combined. 4 Scrape half the cream mixture onto the crust; spread evenly. Give the chocolate pudding a stir and spread it evenly over the first layer. Top this with a layer of the remaining cream mixture. Sprinkle on chopped nuts. Refrigerate for at least 8 hours before serving. I'm drooling. This is one of those things you can't buy in any store and I love! I've made something similar before, but it's been a long time. Another great thing about this dessert is all the ingredients are probably already in my kitchen! Must. Have. Richard, thank you so much! And go make the pie. Right. Now. Simply dreamy looking for a pie! Thanks, yummychunklet! Of course, I think most pies are pretty dreamy looking! What I like the most of all the creamy pies is the crust...and the add of walnuts sounds even more tempting! Thanks, Angie! Yes, I like the crunch of the walnuts with the smooth creaminess of the filling. Slather, slather, slather – keep your tongue in your mouth, Sully. Oh, yes. Now you’re into the staff of life. 5 cleavers. Most definitely. What I really love about this is the addition of coffee. Brilliant! One question: what does “excessive sugar” mean? The concept is alien to me. Ooh, thank you, Sully - the coveted 5 cleavers award - I am honored! Excessive sugar detracts from flavors, so I always strive for just the right amount! Greg, yes, you can! I have many times (I may not be the most patient person in the world, especially waiting for pie to thaw!). Joan, thank you! Wish I had a piece right now to go with a nice cup of tea! 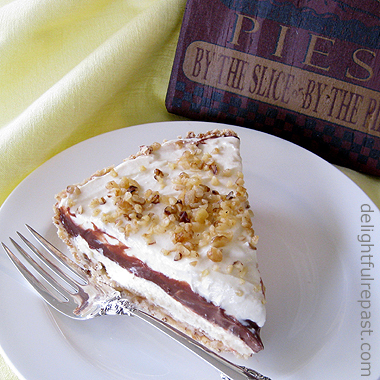 Chocolate cream pie is my all time favorite pie!! There is no question about it.... and I love this version! Can't wait to try it...thanks for sharing! Thanks, Jenn! Do let me know how you like it. Did you say chocolate? I'm sold! Thanks, Ruth! I'm not even that keen on chocolate, and I love it! Creamy Dreamy - what a great name. Sounds delicious especially from the freezer. Thanks, MV! It IS good straight from the freezer, but even better when fully thawed or just refrigerated. Oh my... that does look good Jean - I don't think I ever had something like this before! Has your GF month come to an end now? How did it go? (Maybe you wrote about it somewhere... I must have missed it). Thanks, Charles! Yes, my gluten-free month is over. I didn't notice anything different, so I resumed gluten and will next try a dairy-free month and see what that does for me (and my sinuses). But I'm going to just eat *everything* for a while!